PG hair styles. 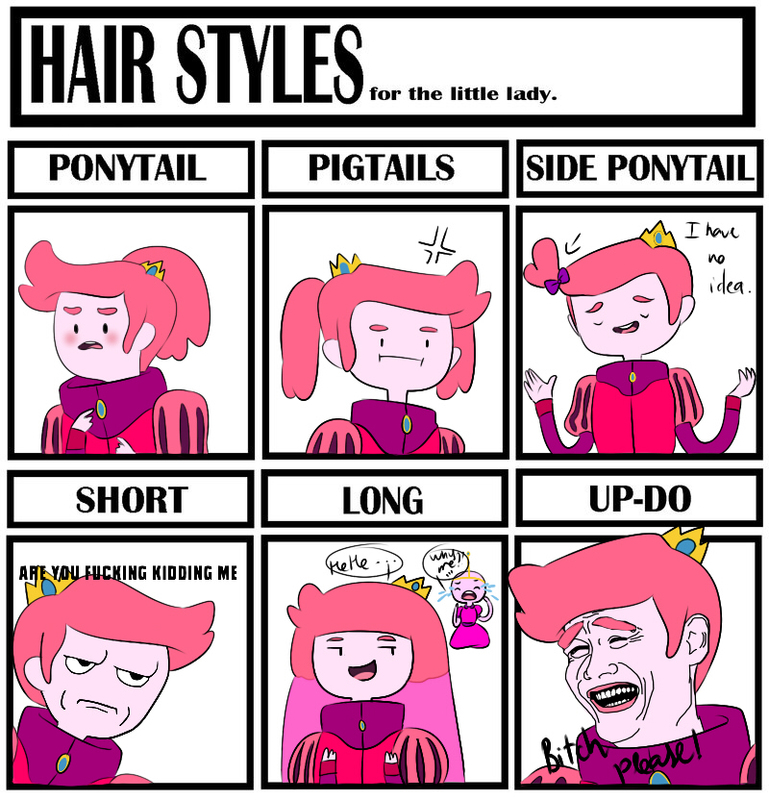 Prince Gumball with different hairstyles . HD Wallpaper and background images in the Adventure Time With Finn and Jake club tagged: prince gumball funny adventure time. This Adventure Time With Finn and Jake photo might contain stained glass window, anime, comic book, manga, and cartoon.